Calling all Hey Arnold! fans! Celebrate your love of the classic Nick 90s cartoon with this cool notebook collection featuring Arnold and all his friends from PS 118! Insight’s deluxe stationery line brings you a nostalgic blast from the past with this Hey Arnold! Notebook Collection. Including one leatherette notebook and one printed art card, these softcover notebooks feature covers inspired by Arnold and his best friends from PS 118. Each notebook contains 64 pages of high-quality, acid-free paper that invites fans to record their favorite memories, adventures, and notes. 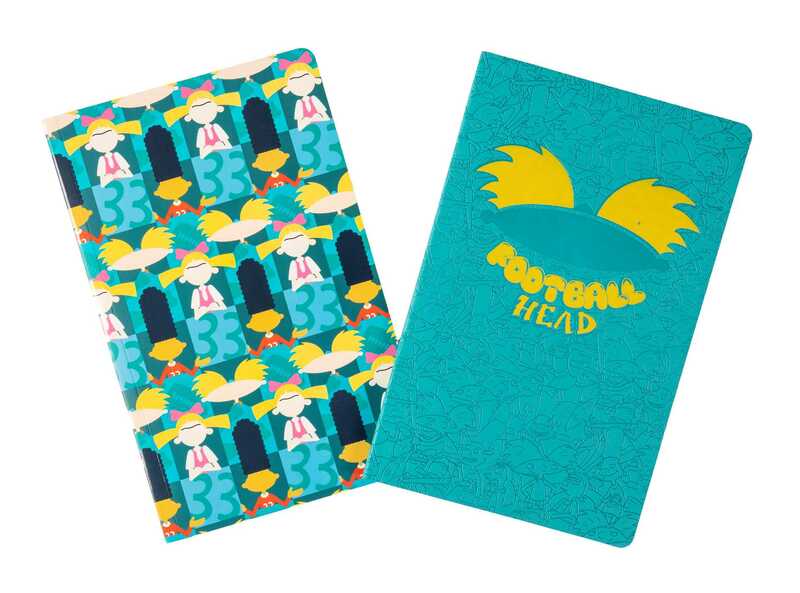 Perfect for nostalgic 90s kids and fans of Hey Arnold!, these notebooks are the ideal for celebrating your love of this classic Nicktoon.